Six-Month Anniversary Countdown Bonus Is Live! 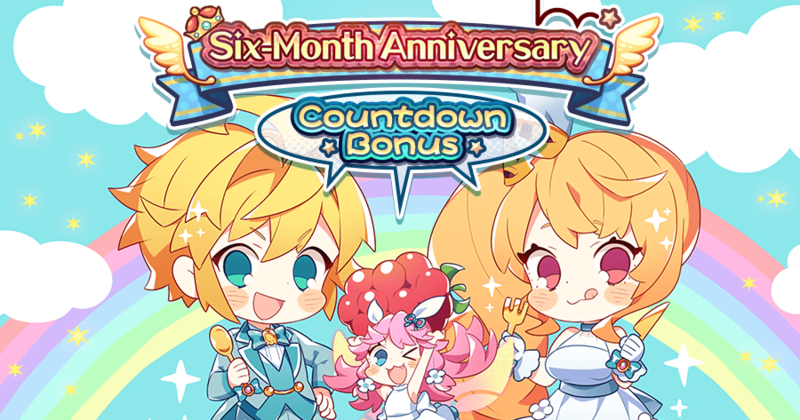 A six-month anniversary countdown bonus started 11:00 PM Mar 19, 2019(PT)/ 6:00 AM Mar 20, 2019(UTC)! Until 11:00 PM Mar 26, 2019(PT)/ 6:00 AM Mar 27, 2019(UTC), you'll get one Summon Voucher each day when you log in! That's a maximum of seven days, meaning you can get up to seven Summon Vouchers. 1. The log-in bonus will be sent to you every day after 11:00 PM (PT)/6:00 AM (UTC) when you log in. 2. Gifts sent as log-in bonuses can only be accepted for a limited time.